At last my big book on the epics of the world is out: EPIC: FORM, CONTENT, AND HISTORY. Transaction Publishers have done a nice job with it. 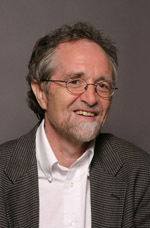 Virgil Nemoianu, literary scholar extraordinaire and past President of the International Comparative Literature Associations, says “it is the best study ever composed about this foundational literary genre” and Robin Fox, one of our leading evolutionary anthropologists, calls it “a tribal encyclopedia for latter-day tribesmen.” It can be found here. It will find a place on my shelf next to Keith Bosley’s translation of the Kalevala. Reading down your lists of poems this morning I was inspired to write this; and it does not belong in this response to “Epic,” of which I’ve read only the introduction you sent me, but rather as a response to your cetegory “poems” as a whole. I could not find there where to comment and so came here. So like my own, unworldly at its core. My finger runs forever down your lists. The fathoming of so much stuff that rhymes. And I would lift the veil just once and peek. I have finished it! A masterpiece.